Justin Timberlake delivered a gift to a victim of this month's deadly school shooting in Texas in a surprise hospital visit that brought a smile to the young girl's face. Timberlake, who was in the Houston area as a part of his Man of the Woods world tour, surprised Sarah Salazar in her hospital room in eastern Texas, her mother wrote in a Facebook post Friday, just one week after Sarah was wounded in a mass shooting. 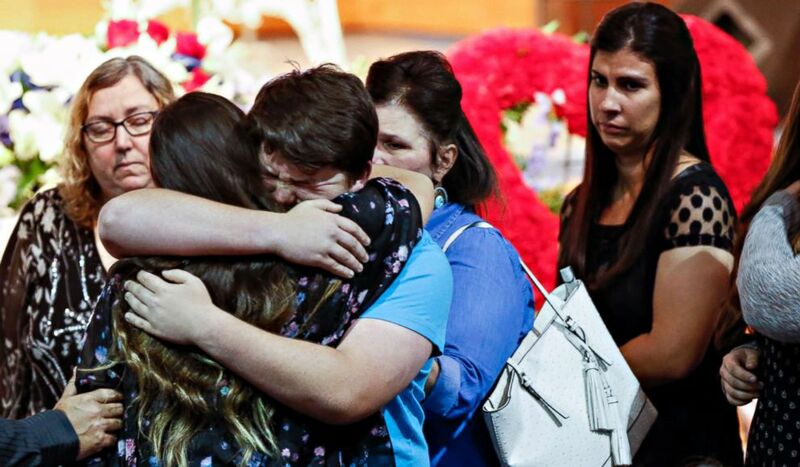 Sarah was among those injured at Santa Fe High School when a former student opened fire on two art classrooms, killing 10 and wounding 13, police said. 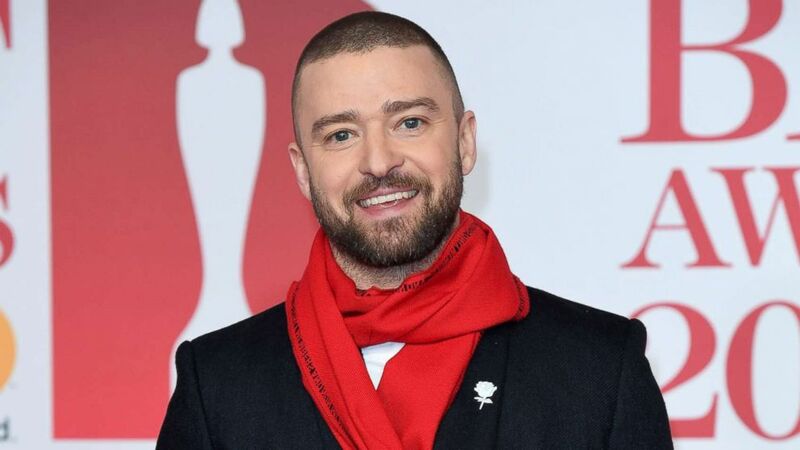 (Karwai Tang/WireImage/Getty Images) Justin Timberlake attends The BRIT Awards 2018 held at The O2 Arena on Feb. 21, 2018 in London. Sarah's mother, Sonia Lopez-Puentes, shared an image of her daughter with the pop star in her hospital room on Friday, showing Timberlake smiling and crouching at her bedside. Lopez-Puentes thanked him and other special visitors, including Houston Texans defensive end J.J. Watt, in a separate post on Saturday. "JJ Watt, Justin Timberlake ... school officials, board members, teachers, fellow classmates, friends and family have taken time to visit Sarah this week showing their love and support bringing smiles to her beautiful face," she wrote, adding that her daughter appeared to be "making progress." 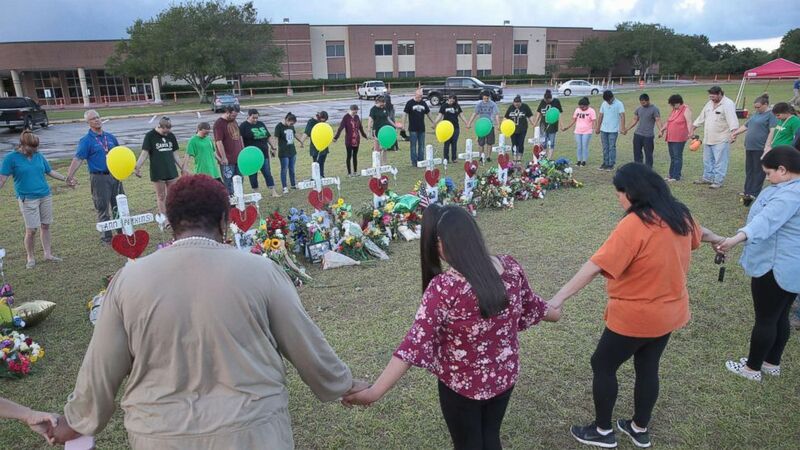 (Scott Olson/Getty Images) Mourners pray around a memorial in front of Santa Fe High School, May 21, 2018, in Santa Fe, Texas. The makeshift memorial honors the victims of the May 18 shooting when 17-year-old student Dimitrios Pagourtzis entered the school with a shotgun and a pistol and opened fire, killing 10 people. (Brett Coomer/Houston Chronicle via AP) Mourners embrace the family of Christian Riley Garcia as they pay their last respects to the teenager during his funeral at Crosby Church on May 25, 2018, in Houston. The 15-year-old student was one of 10 people killed on May 18, 2018, during a mass shooting at Santa Fe High School. "Sarah is sad for the loss of her classmates and would love to see other survivors ... Thank you so much, Lopez-Puentes added. Timberlake acknowledged the shooting during his show at the Toyota Center in Houston on Wednesday and dedicated his performance of "Until the End of the Time" to those killed. "Let those angels hear you up there," he said to the singing crowd. "We're gonna light the whole arena, this whole city up for Santa Fe High School." Salazar sustained multiple injuries in the May 18 shooting, including a broken jaw, fractured rib bones and a shattered shoulder, according to a GoFundMe page set up on her mother’s behalf. The GoFundMe campaign had raised about $21,000 in donations as of Tuesday morning, a little more than one-third of its fundraising goal. The alleged gunman, 17-year-old Dimitrios Pagourtzis, was charged with capital murder in the wake of the shooting. Police said he was armed with a shotgun and a .38-caliber revolver, both of which were legally owned by his father. Police have yet to declare a motive. Pagourtzis is currently being held at the Galveston County Jail, where he's under suicide watch.